The author of this article is a Master’s degree from Sheffield College. Sara is a communication expert and works for a top Dissertation writing service. Her job includes helping students in dissertation analysis. She has been involved in various environmental friendly programs and is very passionate about saving wild life and works closely with WWF. Sara has been work from top UK dissertation writing service for past 3 years and has provided online dissertation help to hundreds of students in UK. Up north, they are known as “Aurora Borealis” and down south, they are known as “Aurora Australis.” Both are practically the same thing, the difference is the location. These beautiful curtains of energy will leave you awe-struck. The phenomenon is so magnificent that people who witness it for the first time tend to rub their eyes to make sure that they aren’t hallucinating. 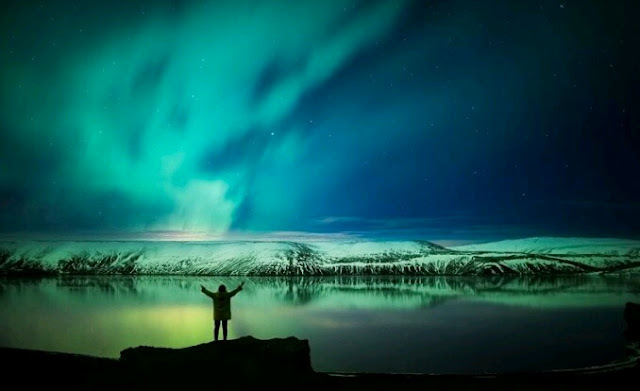 The northern and southern lights are caused by the energy particles coming from the sun, which enter the Earth’s atmosphere and interact with various gases. Upon being bombarded by these particles, the gas atoms get excited and release energy in the form of light. The streams are quite colorful, ranging from yellowish-green to reddish-blue, depending on the type of gas present in the region. There are quite many places to witness these lights, too, including Central and northern Alaska and Canada, northern Scandinavia, Russia and Greenland in the Northern Hemisphere, and Antarctica in the Southern Hemisphere. In the south, auroras can sometimes be seen from southern Australia, Chile and New Zealand. So, you can book a flight to any of these destinations to witness these amazing light shows. The island of Aogashima, Japan, is perhaps the best destination for stargazers. Light pollution is the biggest enemy for those passionate about astronomy and generally wanting to take a break from their lives to look above and witness the stars. 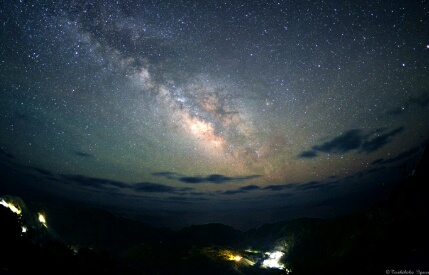 This obstacle does not exist for the people of Aogashima, who get to witness the milky-way in all its glory, every night! This natural “planetarium” has become a great tourist attraction for nature freaks. Observed in the cool nights of late-October and Early November, mostly during the Phayanak festival, “Naga fireballs” or “Mekong lights” are balls of light that are shot out of the Mekong River, after which they rapidly travel hundreds of meters upwards before disappearing. The cause of the phenomenon is still unclear, but locals believe that the fireballs are shot by an ancient creature living under the Mekong River, known as “Naga,” while some scientists have proposed burning gases to be the cause of the fireballs. 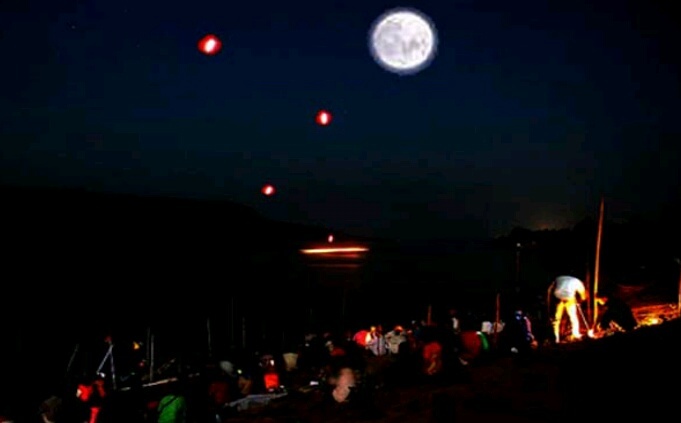 Nonetheless, the fireballs are really a treat to witness, and every year, hundreds of thousands of people gather around the Mekong River to watch these mysterious Mekong Lights being fired out of the river. 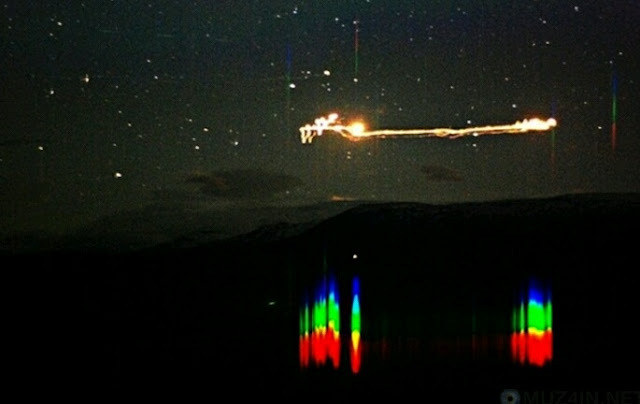 Although, now observed only about 20-30 times per year, the Hessdalen lights are a mysterious nocturnal phenomenon that still has the scientists scratching their heads. They are a stream of lights observed just a few miles above the Hessdalen valley of Norway, which can be either bright white, red or yellow. 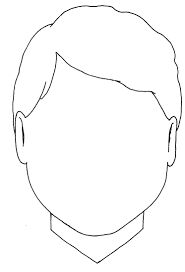 The lights either float in mid-air, move rapidly or sway back and forth. The phenomenon is still unexplained and attracts a great number of tourists and scientists from around the world.